The Civil War had been won by the North, but there was still much to do, as both legal and extra-legal means were used to prevent freed slaves from voting. Between the end of the Civil War in 1865 and 1870, the US Constitution was amended three times. The Thirteenth, Fourteenth and Fifteenth Amendments are collectively known as the Reconstruction Amendments. The Thirteenth freed the slaves, the Fourteenth gave them citizenship. 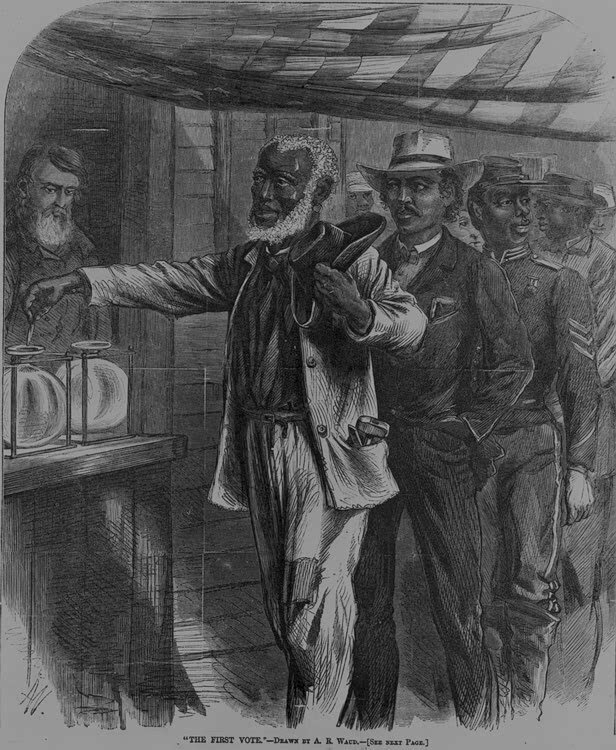 Despite freedom and citizenship many states engaged in conduct to inhibit former slaves from voting. Congress did not have the power to regulate state rules on voting without a constitutional amendment. It became the Fifteenth Amendment to the Constitution on February 3, 1870 with the ratification by Iowa. A primary election is held by political parties to choose their candidates for office. 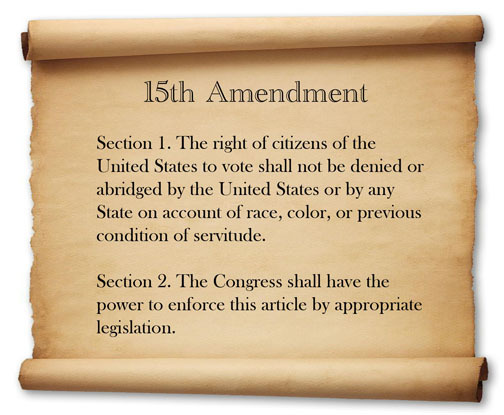 The Fifteenth Amendment applied to the actions of States, not political parties, and for a time, political parties were free to choose their membership, and in many places, Texas in particular, excluded Blacks. Blacks were effectively barred from an important stage of the political process. It was not until 1944 that the US Supreme Court condemned such a practice in Smith v. Allright. Primary elections were found to fall under the Fifteenth Amendment 74 years after it was adopted. In many Slave States it had been illegal to teach slaves to read and write. In another effort to disenfranchise former slaves, several states imposed literacy testing as a qualification for voting. 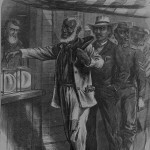 The intended and actual results were that most former slaves were ineligible to vote, since they had been prohibited from learning the skills required to pass such a test. Eventually, in 1949, Congress’ Fifteenth Amendment powers were used to prohibit tests designed as discriminatory. An additional manner to disenfranchise black voters was by drawing election districts in a fashion that split black populations into very small segments of a district. This type of discrimination ultimately was condemned under the Fifteenth Amendment, but not fully until Mobile v. Bolden in 1980. It had been 110 years in the making. 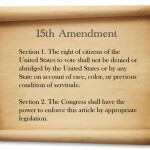 While Congress had passed a variety of laws following the ratification of the Fifteenth Amendment, none included significant federal enforcement provisions regarding protections of the voting rights of African Americans. The first real action by Congress to actively enforce the promise of the Fifteenth Amendment was the Voting Rights Act of 1965. The Act created a system of federal oversight for those States with a history of voting discrimination, in some instances requiring those States to obtain clearance with the US Justice Department before changing voting laws in any significant manner. 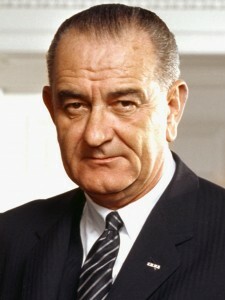 The Act was signed by President Lyndon Johnson on August 6, 1965. It has been renewed to provide continuing federal oversight of possible voting discrimination in 1970, 1975, 1982, and 2006. In 2013, in Shelby County v. Holder, the Supreme Court found Section V of the Voting Rights unconstitutional. The original voting rights act had required Justice Department approval of voting law changes for certain states with a history of discrimination. The study of discrimination was done in the 1970’s. When the Act was renewed in 2006, no new data was compiled. States were still being required to get Justice Department approval before changing voting laws. The Court determined that relying on such old data was an inappropriate exercise of Congress’ power under the Fifteenth Amendment and contrary to the basic founding principle of federalism. Other methods of enforcement of voting rights against discrimination remain in place, but until Congress updates the evidence of discrimination requirements to submit proposed changes in voting laws to the Justice Department for approval is no longer required.